Located two blocks from the beach this clear vacant lot is a great opportunity to build your own home and ADU. xD; xA; xD; xA; (R-5 zoning, 7,500sf) Buyer to do their own due diligence. Lot with home next door is also available, see mls 201904180. xD; xA; xD; xA;Please do not walk on property without an appointment. 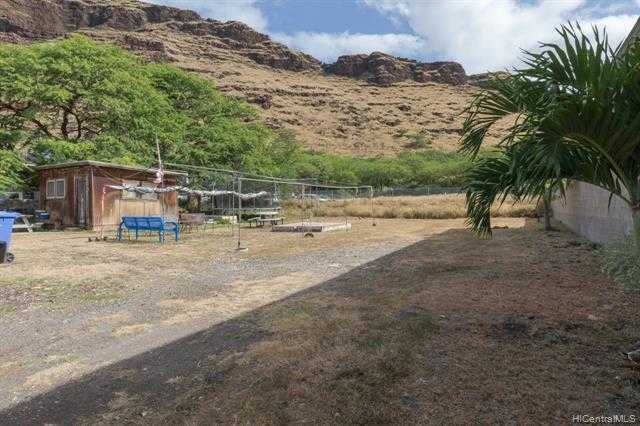 Please, send me more information on this property: MLS# 201904180 – $350,000 – 87-1446 Akowai Road, Waianae, HI.